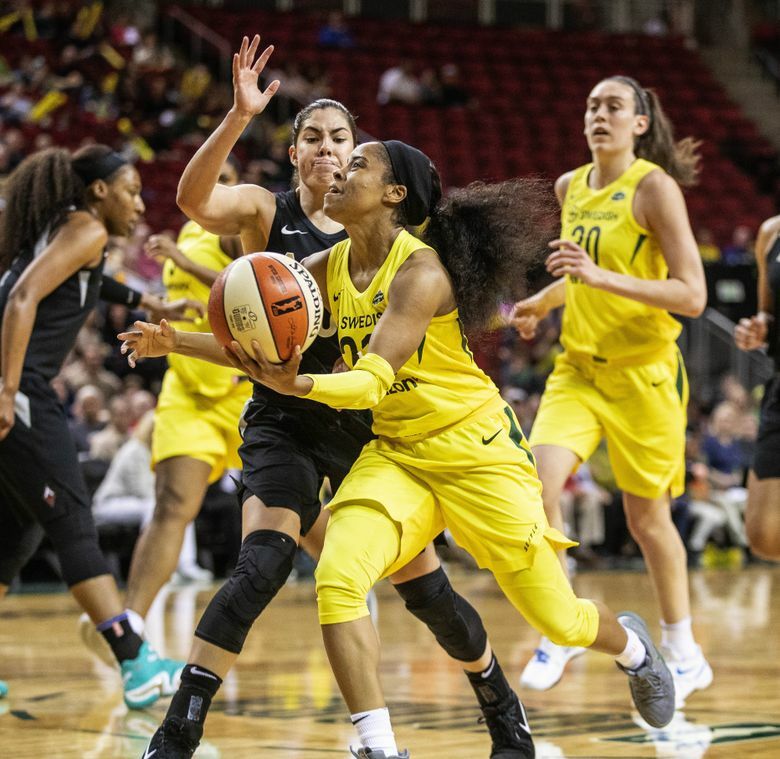 Seattle had its most dominant performance of the season — a 101-74 victory over Las Vegas — for its fifth straight win on a record-setting night at KeyArena. 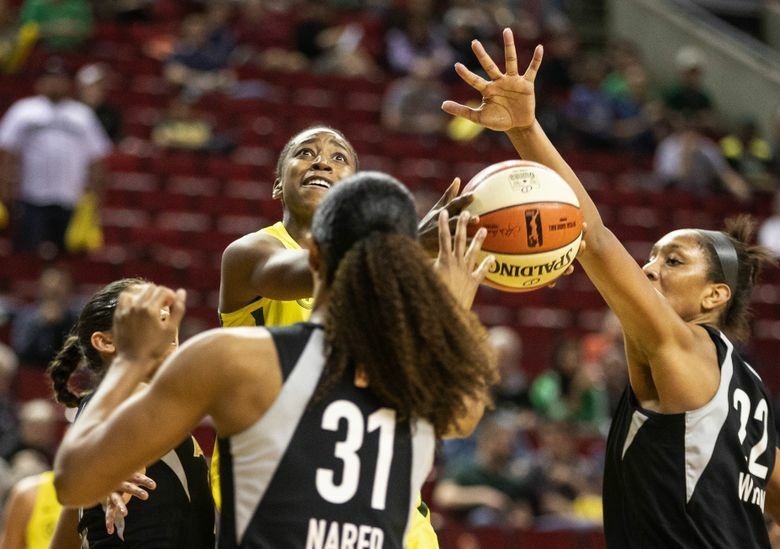 The Storm may never shoot like this again, but Thursday’s record-setting performance might serve notice to the rest of the league that this could be a special season for Seattle. 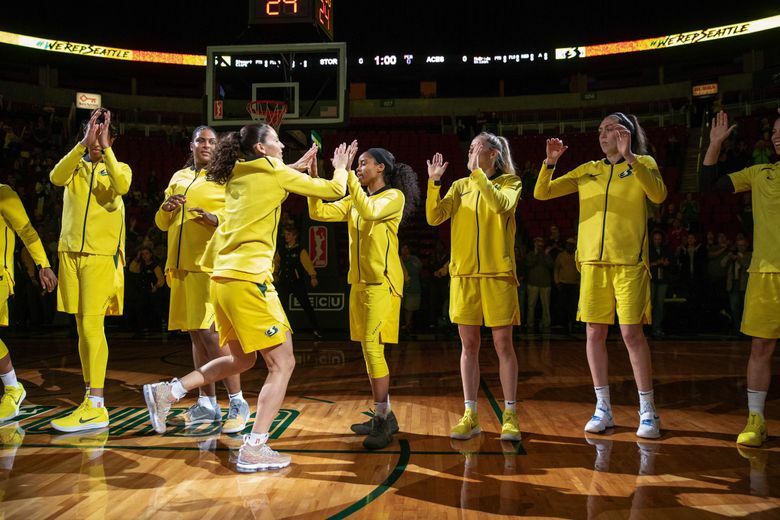 It started with Alysha Clark knocking down an open three-pointer in the corner and then Jewell Loyd draining her first five shots from downtown in the opening quarter. 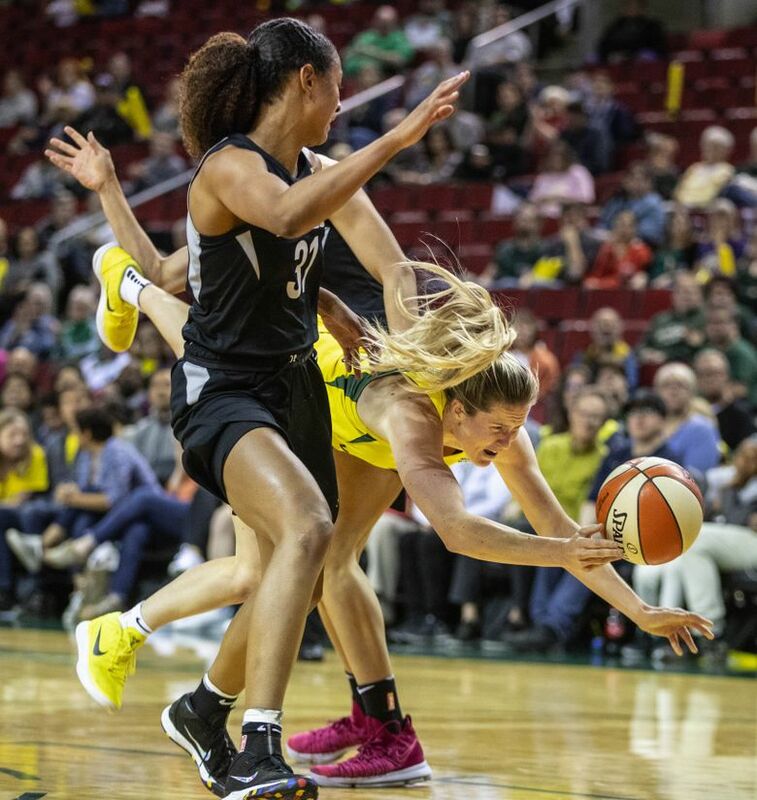 By the time Sami Whitcomb’s long-range dagger splashed through the net early in the fourth quarter, the Storm buried Las Vegas beneath a WNBA-record-setting 17 three-pointers for its fifth straight win — a 101-74 victory in front of 5,235 at KeyArena. 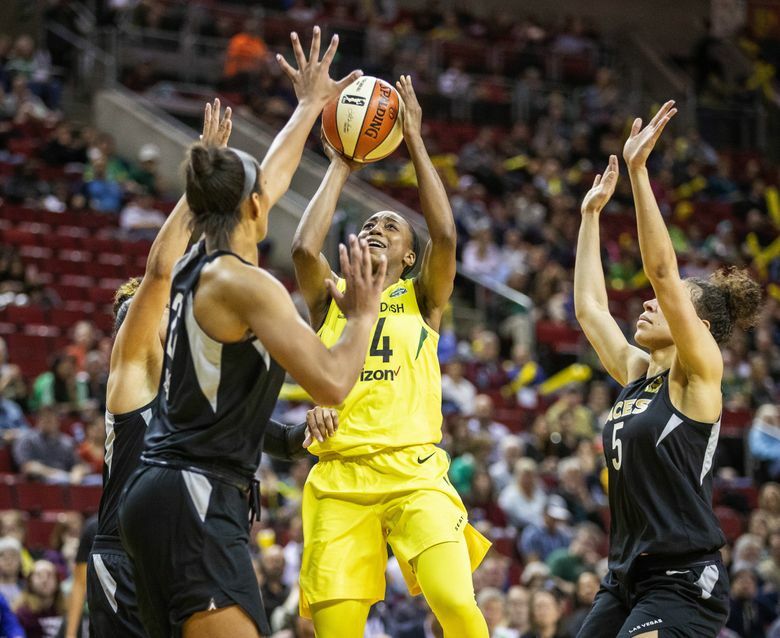 Seven Seattle players contributed to the three-point record, including Breanna Stewart, who scored a team-high 21 points and finished with two three-pointers. 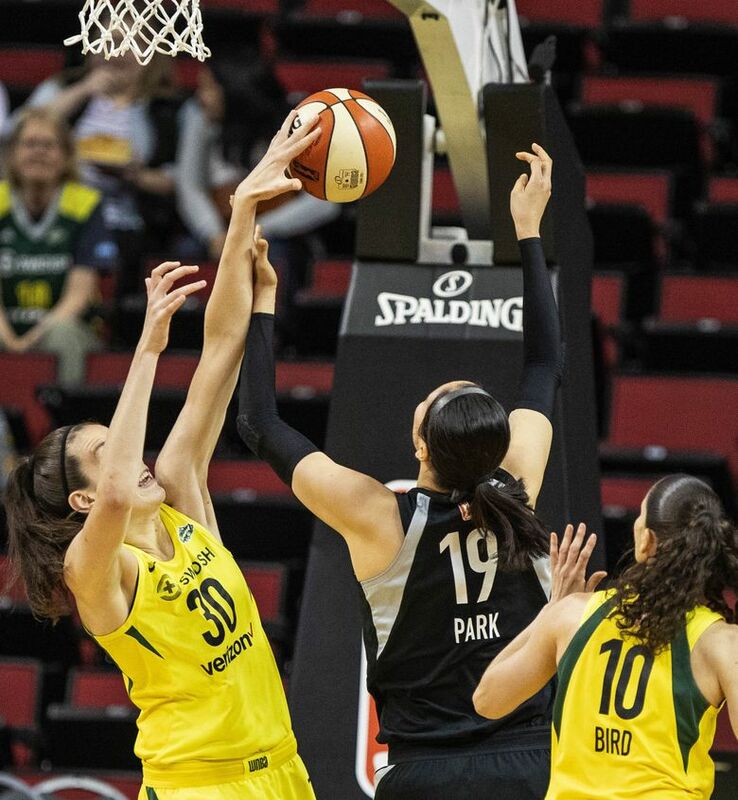 “In this league, every now and then you’re in one of these games,” said Sue Bird, who sank 3 of 4 three-pointers and tallied 11 points and a season-high nine assists. “For us today it’s a culmination of we’ve been playing pretty well and we’re at home. We got comfortable early. 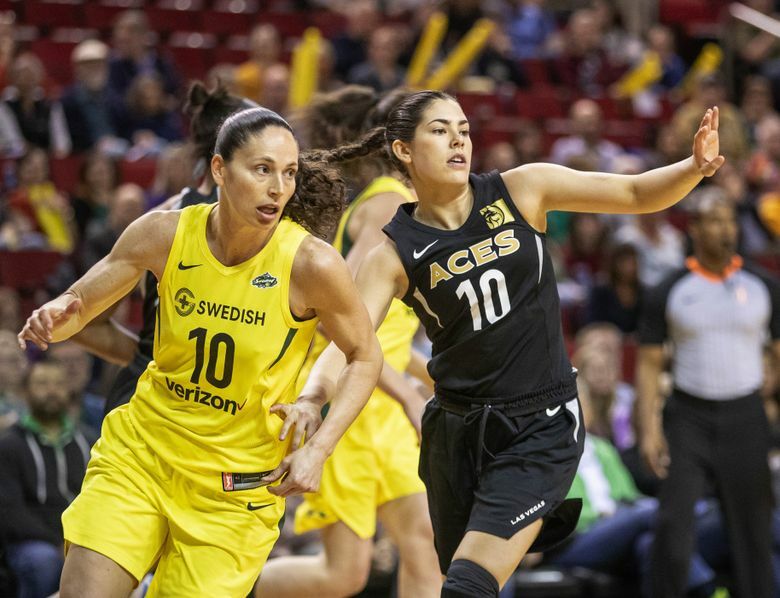 Once again the Storm (5-1) started out fast and went up big at halftime against the Las Vegas Aces. 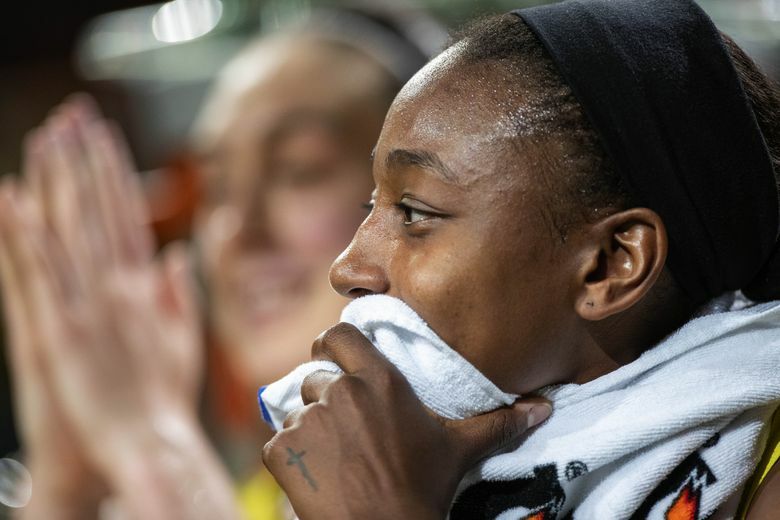 However, this time Seattle avoided a second-half meltdown and cruised to its most dominant performance of the season. The teams met four days ago in Las Vegas when the Storm led 53-35 at halftime. Las Vegas cut the deficit to four points (98-94) with 1:39 remaining before Seattle came out on top 105-98. “Looking back on the game on Sunday, we had control for most of it and then there came a point where they just got really aggressive and started putting their head down and coming at us,” Bird said. “We relaxed a little bit. The one thing we talked about was not relaxing. 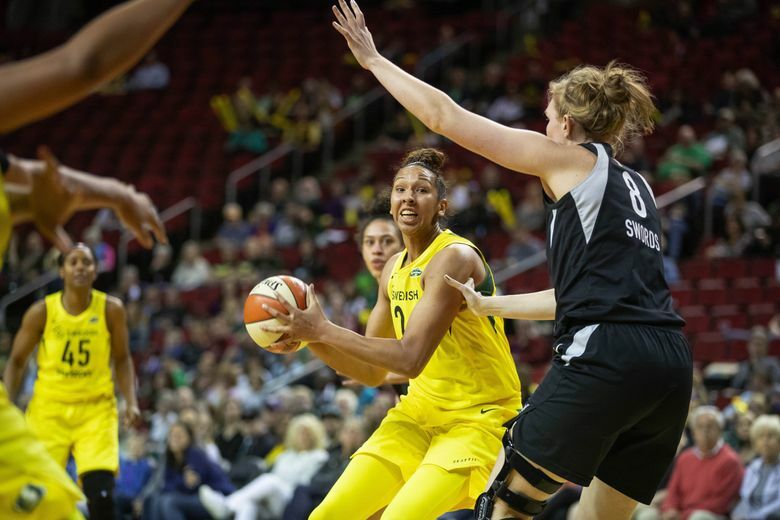 In Thursday’s rematch, the Storm needed just seven minutes to build a 19-point lead thanks to Loyd, who scored 17 of her 20 points in the first frame to tie a franchise record for points in a quarter. 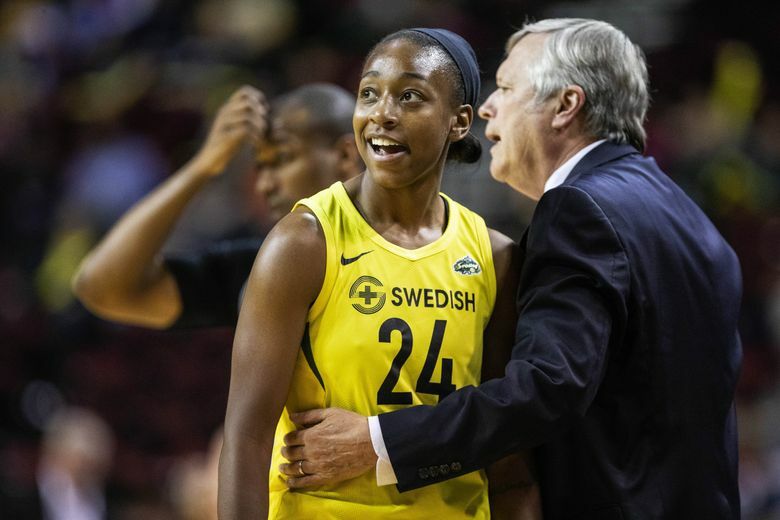 “I was really in rhythm,” said Loyd, who sank her first six shots, including five three-pointers to help the Storm to a 31-10 lead with 3:57 remaining in the first. “My teammates found me and I created some shots myself. The Storm led 38-14 after the first quarter, which was two points shy of a franchise record for points in a period. 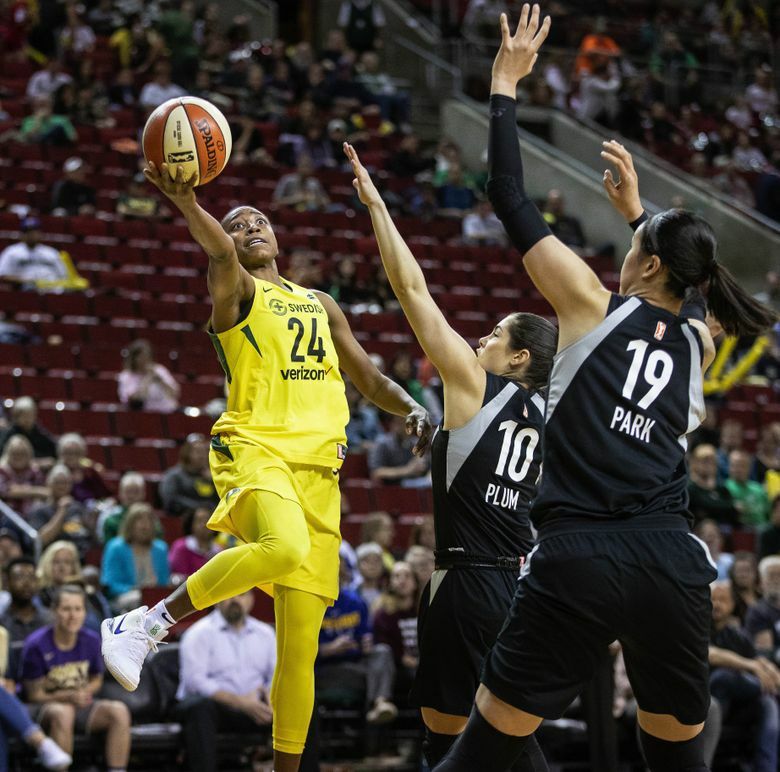 Seattle cooled off in the second while outscoring Las Vegas 22-18 and went into halftime ahead 60-32 – one point shy of the team record for points in a half. The Storm regained its offensive touch in the third thanks to Stewart, who scored 10 in the quarter. 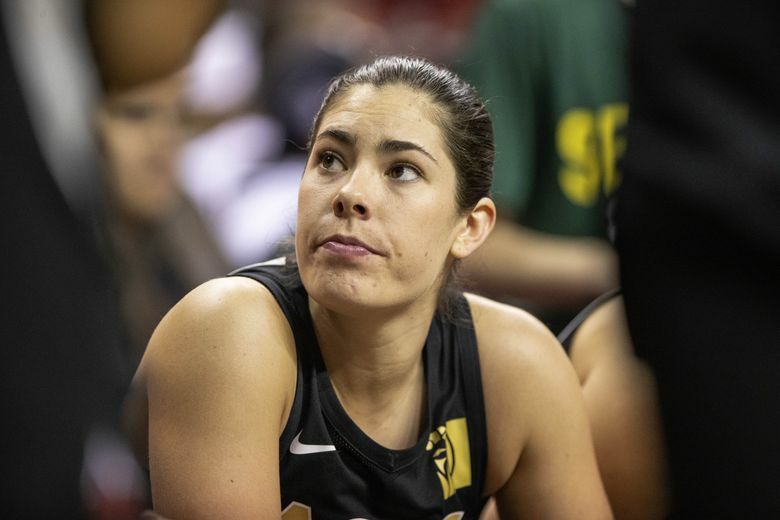 Leading 91-55 heading into the fourth and assured of its first five-game winning streak since 2012, the Storm reserves finished the game, including Kaleena Mosqueda-Lewis, who had 13 points and three three-pointers. 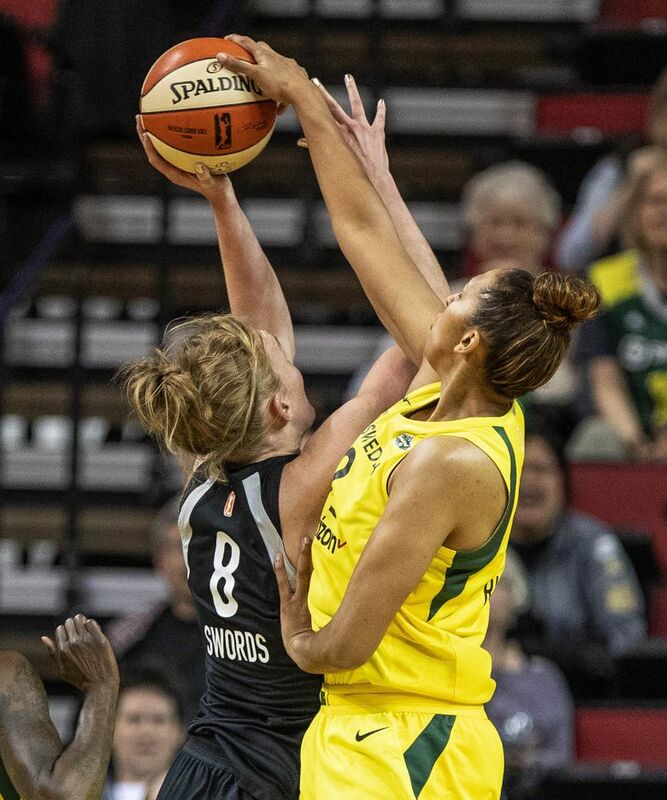 The KeyArena fans erupted in cheers after rookie guard Jordin Canada flung a crosscourt pass in the corner to Whitcomb, a second-year sharpshooter who drained a three-pointer that gave Seattle a 99-57 lead with 7:45 left and the WNBA record. The league’s previous three-point record was 16 and the Storm’s all-time high had been 14. 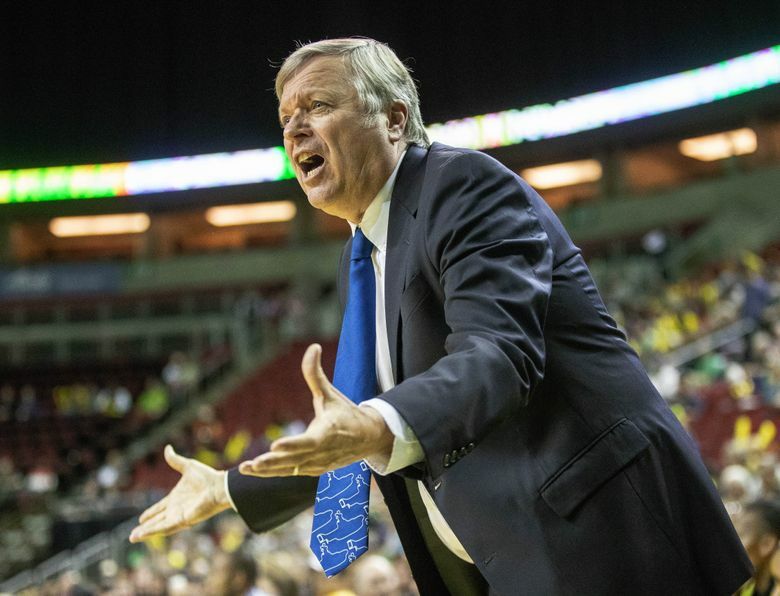 “Today was exceptional and I don’t know if I would want to bank that that’s a normal game for us, but we have the capability to be effective there,” first-year coach Dan Hughes said. “As effective as we were tonight? No. Those are the special nights when you kind of get everything in the same direction. The Storm shot 54.4 percent from the field and finished with 26 assists on 37 field goals. 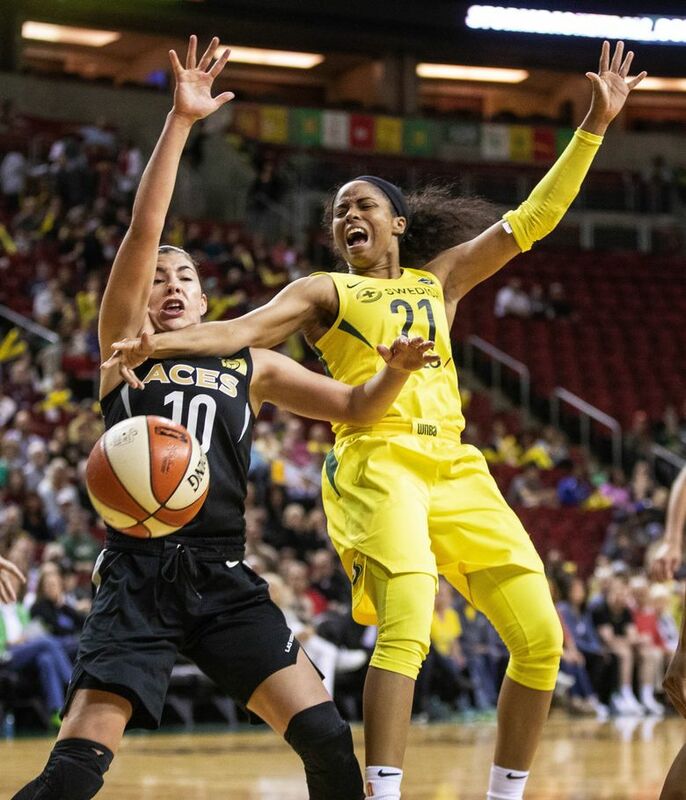 Rookie forward A’ja Wilson led Las Vegas (0-4) with 21 points while former Washington Husky star Kelsey Plum had three points in 23 minutes as a reserve. 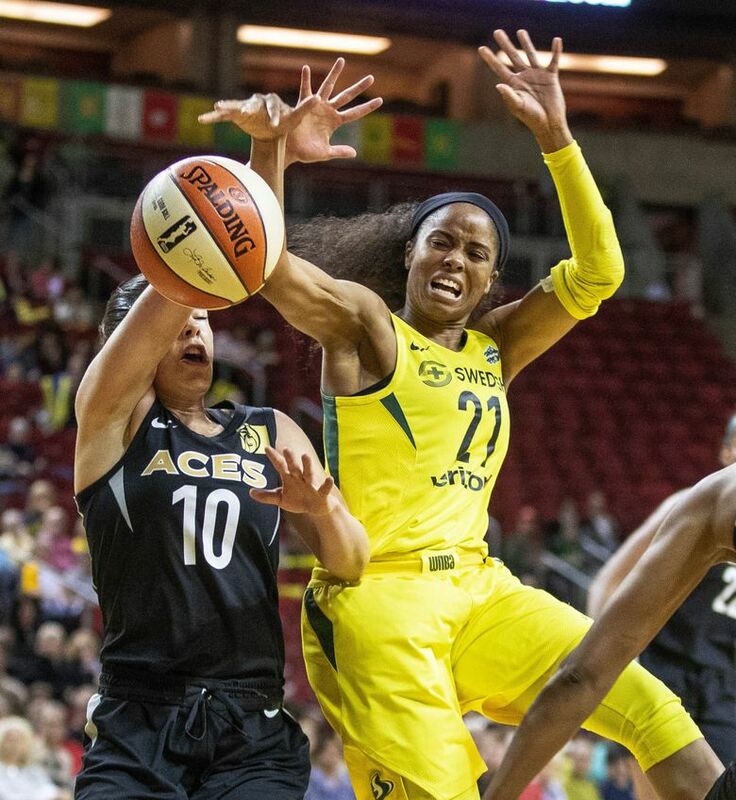 • Rookie center Mercedes Russell and veteran guard Noelle Quinn made their season debuts for the Storm.